Did James Gunn Just Tease Idris Elba's Character In The Suicide Squad? Did James Gunn Just Tease Idris Elba’s Character In The Suicide Squad? One of the big changes we knew that James Gunn was making in his upcoming Suicide Squad sequel – er, sorry, “total reboot” – was replacing Will Smith with Idris Elba as Deadshot. However, this was proven wrong when it was announced Warner Bros. had ultimately decided to switch Elba’s character for a new one. But which DC supervillain is Elba going to portray in The Suicide Squad? Well, Gunn has always liked to tease his fans with what’s to come in his movies on social media. He’s not really active on Twitter anymore, but his Instagram story is becoming the place to pay attention to instead. Previously, for example, he shared some Harley Quinn fan art, which fans took to be a hint that Margot Robbie will reprise her role in the movie. Now, he’s posted a cover of a classic SS comic from the John Ostrander run in the 1980s. Is James Gunn Teasing Idris Elba's Character In The Suicide Squad? This likely tells us that we can expect Ostrander’s work to be a big influence on Gunn’s take on Task Force X. That’s only natural, too, as the comic book creator is responsible for reimagining the team of anti-heroes into what we know them as today. Looking at the choice of characters on display in this particular cover, though, could Gunn be teasing that Elba’s playing Bronze Tiger in his film? 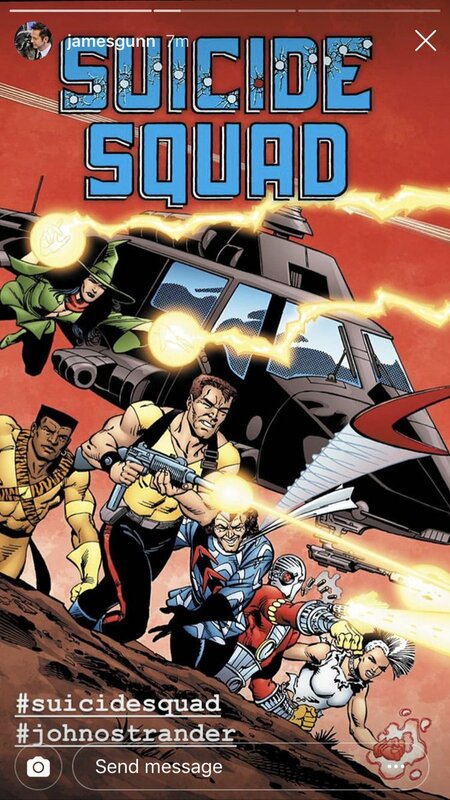 As soon as Deadshot was ruled out, fans latched onto the idea of Bronze Tiger as the most likely role for the actor, seeing as he’s one of the most prominent squaddies we haven’t seen in the movies yet. TV fans will be familiar with the character though, as Michael Jai White played him in the first couple of seasons of Arrow. Elba would be a great fit for Ben Turner, too, a non-powered yet highly-skilled member of the League of Assassins, so let’s hope we’re on the right track. Of the 2016 cast, Viola Davis and Jai Courtney are confirmed to return as Amanda Waller and Captain Boomerang, respectively, with Joel Kinnaman as Rick Flag and Robbie as Quinn also expected. Filming begins on The Suicide Squad later this year before it hits theaters on August 6th, 2021.